At Positive Pie we strive to offer the best value in town. Thanks for checking out our Specials page. Everything from positively awesome pizzas to specialty cocktails, we got you covered. Enjoy the slice combo special, all day, everyday! Get 2 slices and Coke for $6.5 or 2 Slices and a cold beer for $8. Choice of beers include Budweiser, Bud Light or Tall boy Can of PBR. These 3 little sliders with huge flavor. Come down, enjoy the game and snack up these tasty burgers with a choice of fries or house made onion rings. 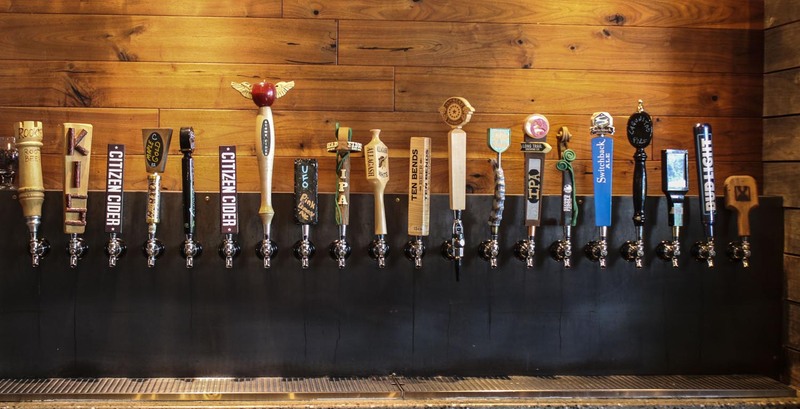 Enjoy some of the finest beer in all of New England. Right here at PPie Hardwick. $3 Select Drafts. $15 Large 2 Topping Pizzas. This deal you don't want to miss. Boom! Positive Pie really loves wine. Come down and enjoy some of the world best wines for $5 a glass. Oh did we mention 1/2 Priced Bottles? Oh yes. And there's more. $5 Select Starters for the warm up! Kids love pizza and we love kids! Enjoy great food with the family and get a $4 Kids Meal With the purchase of an adult meal, from 3-6PM Sunday thru Thursday every week! Dinner made easy! Enjoy 1/2 priced apps from 3PM - 6PM and $7.5 Select Cocktails All Day Long. What's better that wings and beers? Not much. Come down and enjoy a cold Switchback and some wings!